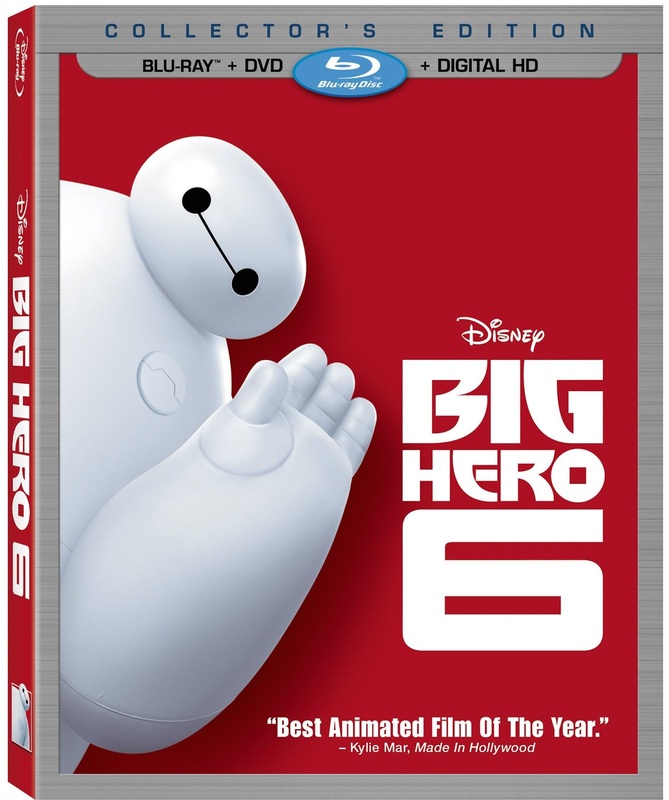 Disney's BIG HERO 6 Digital HD Due On 2/3 and Blu-ray Combo Pack 2/24 + A Clip Featuring Easter Eggs! | Focused on the Magic : Disney's BIG HERO 6 Digital HD Due On 2/3 and Blu-ray Combo Pack 2/24 + A Clip Featuring Easter Eggs! 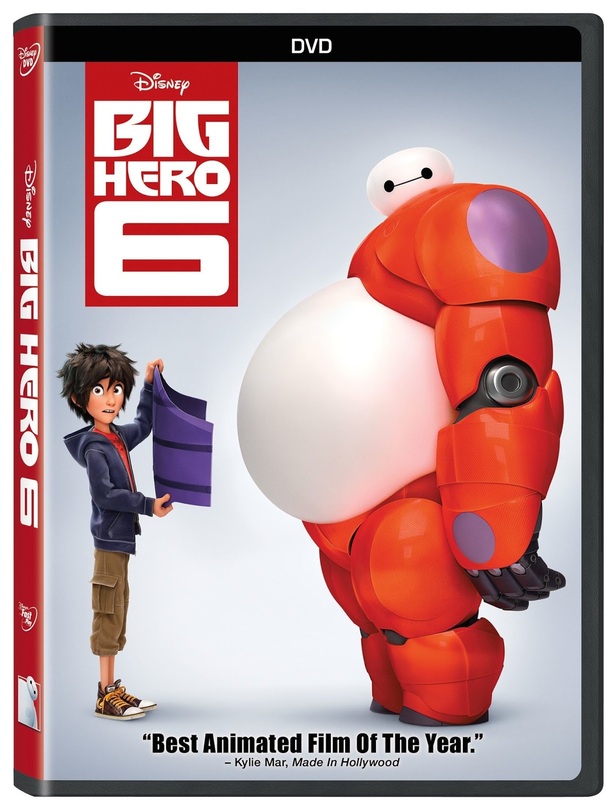 Disney's BIG HERO 6 Digital HD Due On 2/3 and Blu-ray Combo Pack 2/24 + A Clip Featuring Easter Eggs! From Walt Disney Animation Studios ("Frozen," "Wreck-It Ralph"), Disney's "Big Hero 6" introduces you to a lovable robot who will change your world. Join Baymax (voice of Scott Adsit) and Hiro Hamada (voice of Ryan Potter) in a comic adventure that will make your heart soar as they learn about teamwork and becoming more than you thought you could be. With all the heart and humor audiences expect from Walt Disney Animation Studios, "Big Hero 6" is an action-packed comedy adventure that introduces Baymax, a lovable, personal companion robot, who forms a special bond with robotics prodigy Hiro Hamada. When a devastating turn of events catapults them into the midst of a dangerous plot unfolding in the streets of San Fransokyo, Hiro turns to Baymax and his diverse group of friends — adrenaline junkie Go Go Tomago, neatnik Wasabi, chemistry whiz Honey Lemon and fanboy Fred — who transform into a band of unlikely heroes. Bring home Disney's "Big Hero 6," featuring comic-book-style action and hilarious, unforgettable characters — it's fun for the whole family! A CLIP FEATURING NEVER-BEFORE-SEEN EASTER EGGS IS NOW AVAILABLE! Deb is a wife, mom to 2 fine young men (one with Learning DisABILITIES), a rescued mom to furbaby Einstein, creative, green gardener, savvy shopper, sassy lover of travel, all things Disney, movies, coffee, food, laughter, life and always planning her next magical photographic adventure. Walt Disney Animation Studios Sets Sail with "Moana"